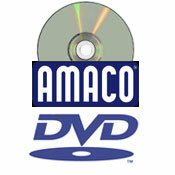 The Amaco No. 16 is the ideal wheel for use in any rehabilitation program. It is a variable speed power wheel with a frame that was designed in coordination with leading rehabilitation and therapy experts. The No. 16 wheel makes throwing on a wheel possible for persons who otherwise would not have the opportunity. Possibilities include use with a wheel chair, a standard stool, or while standing up. The No. 16 wheel can handle 150 lbs. of clay continuously. The outstanding value of the AMACO/ Brent product line makes them a popular choice for many schools and universities around the country as well. Limited Time Get $100.00 worth of FREE Glazes direct from AMACO!!! 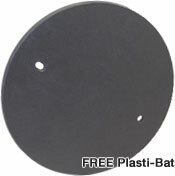 Our high density polypropylene molded splash pan fits all Brent wheels, and is designed to catch excess water. It snaps under the top bearing housing, with no bolts, pins or screws to get lost. It is easily removed for cleaning. Dee Schaad, Art and Design Department Chairman at the University of Indianapolis, introduces new ceramic artists to throwing on a potter's wheel by demonstrating the basics for creating a cylinder, small bowl, large bowl, and trimming. He also recommends the tools needed for each technique. DVD. 42 minutes. EZ-feel toggle switches -- on/off and forward/reverse switches are easy to locate. Forward/reverse switch has neutral safety position to assure somooth transitions when changing directions. Adjustable -- a crank mechanism adjusts the height of the 12" cast aluminum throwing head from 21" to 35"
Mobile -- The No. 16 wheel fits through any 36" door and rolls into position easily on its hard rubber casters.